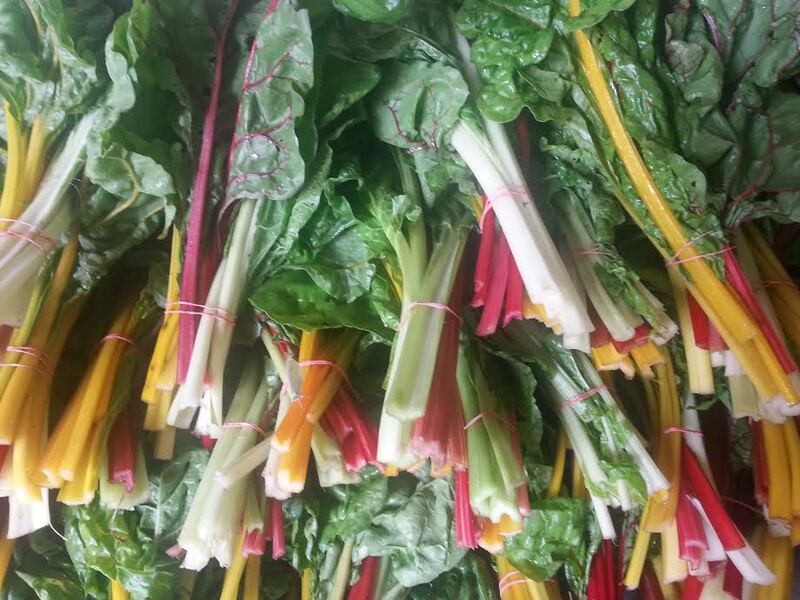 2019 Summer Vegetable Farm Share or "CSA"
What is a "Farm Share" or "CSA"? Farm shares are often also referred to as Community Supported Agriculture, or "CSA," it is a mutually-beneficial arrangement between community members and a local farmer in which the farmer provides produce during the growing season in exchange for payment before the season begins. 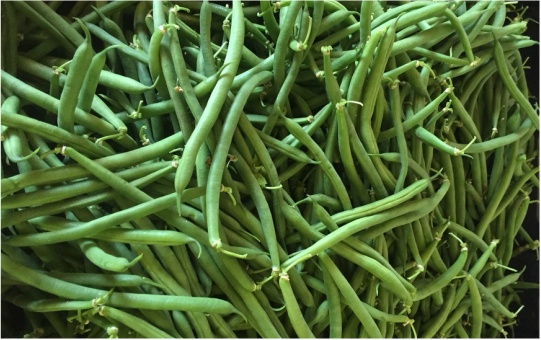 Each week of the growing season, the farmer harvests the mature crops and divides the produce into "shares," typically one for each of the farm’s CSA members. 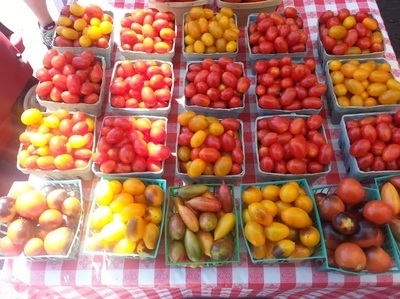 For customers who want to pick up at the farm, Summer Wind Farms runs a “market style” CSA, in that each week’s harvest is laid out on display and members come to the farm on a predetermined day of the week and choose the produce they want within certain limits based on the farm's yield that week. We also have other pickup locations available. In these ‘off farm’ locations we pre-fill your box with a great selection of our produce that is being harvested that week. ​Sign up for our CSA newsletter. The first CSA harvest is typically planned for the first part of June but can vary depending on the season. We will be in touch with our members in advance as the season progresses to let you know the exact date. We plan on having the CSA season run from early June into October about 18 weeks. Summer Wind Farms is USDA Certified Organic. Some items present challenges to organic growing so we also grow just a few items conventionally using IPM (integrated pest management) practices to minimize the use of pesticides. The IPM crops usually include certain bunching greens such as arugula and spinach, as well as certain root crops such as carrots, radishes and turnips. 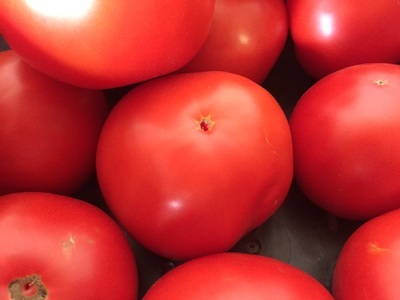 In order to provide a diverse selection of produce and a good value for our members, we may, at times, include additional IPM grown items from our farm or neighboring farms if we have a crop failure on a particular item. As a certified organic grower, we are not permitted to use any GMO (genetically modified organism) seeds whatsoever. In addition, on the items we grow conventionally (non organic) we never use GMO seeds. ​For members picking up at the farm, at the beginning of the season you will get a basket to hold your produce, approximately the size of a half bushel for a half share. 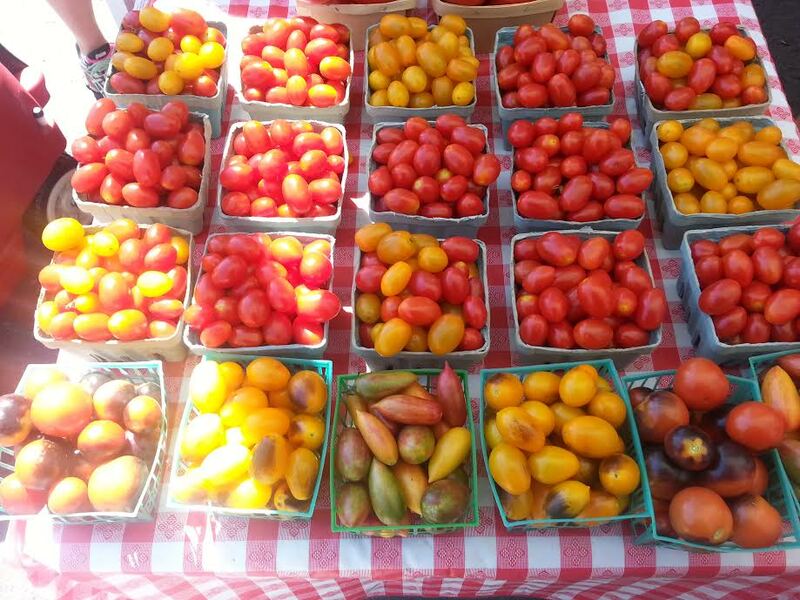 Simply bring the bushel with you to the farm each week and select your produce from the items on display. Baskets can be filled only to the top rim. Occasionally when we have large items we may not require that these be put in your basket. For members picking up at an ‘off farm’ location, at the beginning of the season you will get a box of your first week’s produce. Simply bring the empty box with you to the pickup location each week. We will have the current week’s filled box there waiting for you and we’ll bring your empty box back to the farm to refill for the following week. Availability of produce will vary by season but a variety of at least 7-8 items will be available each week. Items marked with an asterisk (*) are generally grown conventionally using Integrated Pest Management techniques to minimize pesticide use. We may substitute other items grown conventionally in the event of a crop failure or weather related shortage of the item on our farm. We are growing more and more items organically each year. Also, CSA members are welcome to visit us at any of our Farmers Markets where we always have other fruit and produce items including local and specialty artisan foods and receive a discount of 5% on any produce item they purchase. We offer one share size which, for our vegetable shares that are dropped off at pick up locations, we utilize a box known in the trade as a ‘half bruce.” Each share box or “half bruce” is approximately 10.5"W x 16"L x 11"H. A full share is simply two half share boxes. On farm pickups use a wood half bushel. Our share box is usually good for 2-3 people and a two shares, is about right for 4 to 5 people assuming everyone eats a normal share of vegetables. What size is right for you will depend on your family size and how much you plan to eat fresh vegetables during the season. About 85% of our members choose the single Farm Share. Please know that the box we use for our 'boxed shares' has been chosen to accommodate the times of the season when the type of produce we are harvesting is very bulky and we need the room in the box to hold your share without damaging the produce. Because of that, during times of the growing season when we have fewer bulky items the boxes will not be completely full. CSA members can choose a ‘market style’ pickup on the farm or have a pre-filled box dropped off at a pick-up location. Wednesdays from 3 PM - 6 PM. It is on the far eastern end of Franklin Township at the end of either Dutch Mill Rd. or Victoria Ave. if you are coming from Franklin Township. Piney Hollow Rd. runs between Rt. 40 and Rt. 322 and we are located roughly halfway between the two highways. You can find us on GPS, Google Maps, and MapQuest etc. These services may use our family’s nursery name for that address, Ferrucci Nurseries. 109 Rt. 70 East, Medford, NJ. In addition to our Organic Vegetable CSA we also offer a Jersey Summer Fruit CSA. Our summer fruit shares begin around July 1st and end the same time as our Vegetable CSA shares. you can enjoy the best of Jersey Fresh Fruit all summer long. Click below for details. To keep the flow of Jersey fruit and vegetables coming right until Thanksgiving consider adding a Fall Farm Share. It's a combined fruit and vegetable CSA containing both organic items and those grown using integrated pest management techniques. It has lots of great fall items, including several that are limited or not available during the summer season. Is a CSA right for our family? This is such an important topic it has it's own tab in the "2018 CSA shares" above. Please click and read it through. 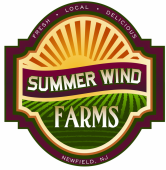 Email us at summerwindfarmscsa@gmail.com with any questions. The farm’s bounty varies by time of year. 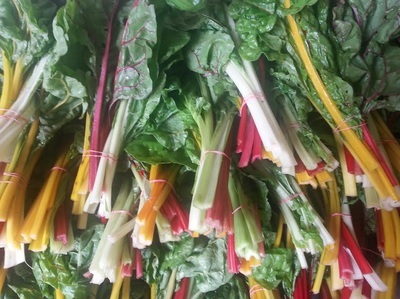 The early summer focuses more on greens, like lettuce, chards, kale, cabbage and other early season items like radishes and peas. As we get into mid-summer, tomatoes, peppers, eggplants, cucumbers and squash take a bigger role along with Jersey sweet corn. Late summer and fall bring a return to the greens as well as great fall items like broccoli, sweet potatoes and collards. There will be a very wide variety of produce but keep in mind like all New Jersey farms not all our crops are in season all at once. For example, things like sweet corn, tomatoes, peppers and potatoes are ready in mid-summer, so for the early part of the season you’ll need to supplement those items. We take our food seriously, so you can be sure that we will have not only the Jersey summer basics but many new and different items as well. Being a family of cooks, we’ll have some family recipes available as well, especially when we have new or unusual items. What if there are items in the box we don’t eat? Our members tell us that one of the things they enjoy most about our CSA is the opportunity to try new items or make common items in a different way. We provide a newsletter to our members with information about that week’s share and some recipe ideas too. ​If you want more control over exactly what you get, then picking up at the farm is for you. We do a ‘market style’ pick up there, where (within some limits) you can get whatever items you like and leave others back. This option is not available with our boxed shares at the various pick up locations. Can I split my share with someone? Of course, all we ask is that only one person register as a member. and the people sharing coordinate who is picking up each week. At times we may supplement our organic production with items grown using Integrated Pest Management (IPM) if that item is in short supply on our farm. Can I change the size of my share? The farm plans its production around the number of shares we have sold, therefore we can’t change the size once you register. If you need extra produce, we will generally will have some extra quantities available at the packing house on pickup days and you can buy whatever extras you need. 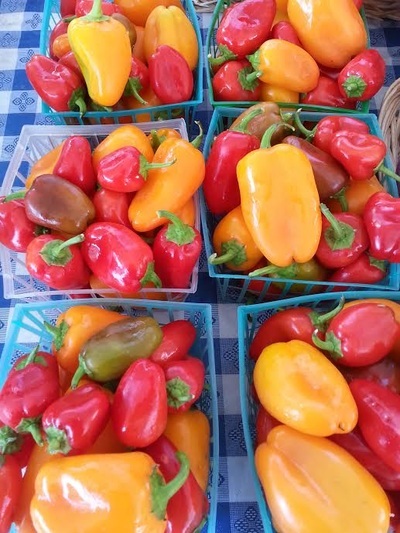 Our Medford location is also a full-service farm market or you can visit us at one of our local farmer’s market locations such as Haddon Heights or Upper Township if you’re at the shore. 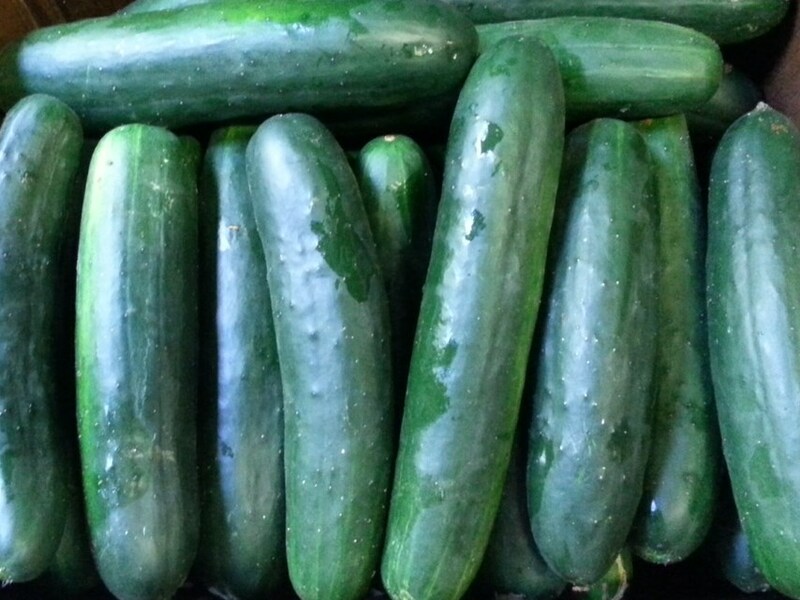 ​If you need bulk quantities of an item for canning or freezing let us know. 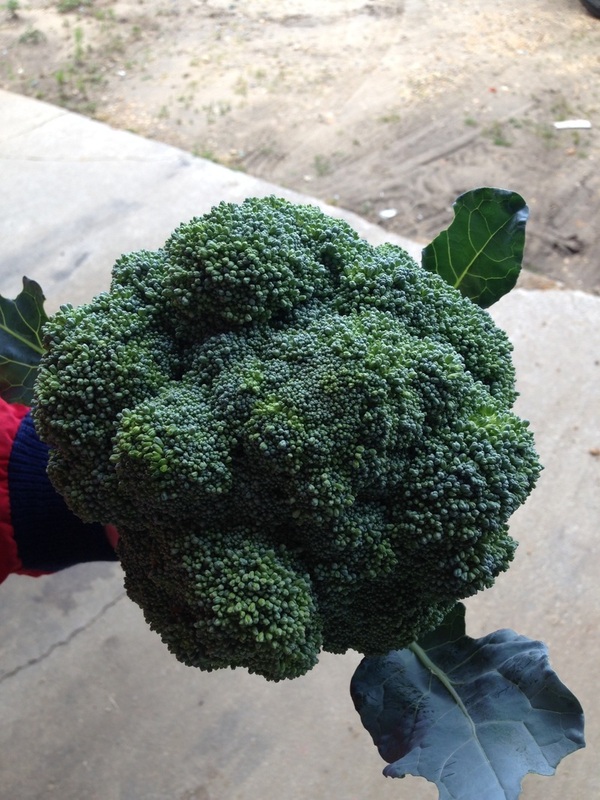 We can usually provide full cases of an item to members at special CSA member only pricing. What if I can't pick up one week? If you are going to be away you can have someone else take your share that week, just let us know who will be picking it up. If you can’t use it at all that week let us know and we will donate it to a local food bank or church. Can I change my pick up location after the season has started? Location changes are possible during the first 3 weeks of the season if you discover that a certain location works better for you. After the third week all locations are firm and cannot be changed. We are unable to accommodate any single week location changes. Once I become a member can I cancel and get a refund for the part of the season I didn’t use? The purpose of a CSA is to have the CSA members partner with their local farmer. The advance payment is used to finance the startup costs of the crops the member will be receiving for the season. Those funds go immediately to buy seeds, fertilizers, greenhouse fuel, etc. For these reasons CSA memberships, cannot be cancelled or refunded. Sign up early to get the best price. Buy more than one type of share to save even more! For members who register for two or more types of shares for registration prior to the start of the Summer CSA Season, and pay in full at the time of registration we offer a discount. If you purchase any two shares at the same time and pay in full upon registration enter the word "TWO" in the coupon code section when you checkout to earn a 3% discount. For all three shares enter "THREE" and earn a 5% discount. ​For members who would like a payment plan we offer a generous in house payment plan as well as a plan thru PayPal Credit. Select PayPal at checkout and apply online. Click the link below for details on both.